Sodium hypochlorite, or bleach, as it is commonly known, is the most widely used disinfectant and cleaner in homes across the world. Using the oxidation process, bleach aims at breaking down the germs and making them harmless by introducing oxygen. Though there are various types of bleach, the one used in almost all the households is chlorine bleach. Chlorine bleach, apart from being a good disinfectant, can also be used to treat contaminated water. Because of its ability to kill fungi, algae, bacteria, and viruses, chlorine bleach is a very versatile chemical to have in the house. WHO (World Health Organization) and Centers For Disease Control and Prevention also acknowledge the role of bleach in helping control the spread of disease causing pathogens. 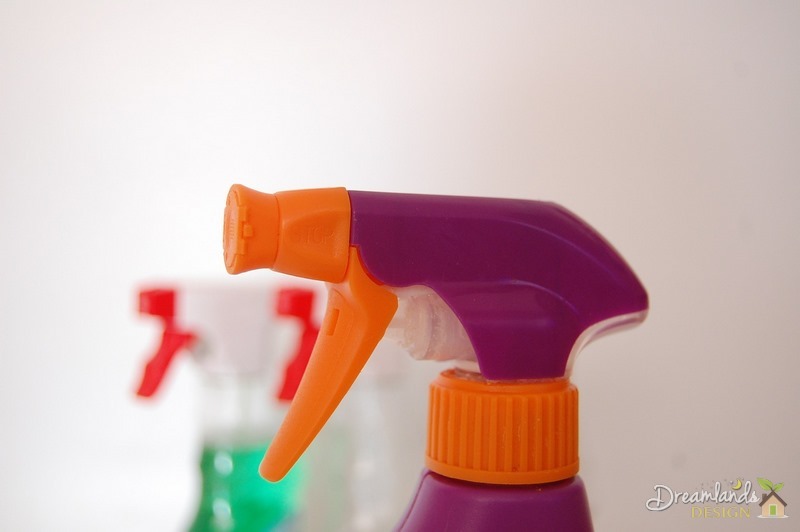 Some of the house cleaning bleach solutions mentioned in the article would definitely help keep your house germ-free. Many liquid disinfectants and cleaners available outside have bleach as the major component. Hence, paying a hefty amount for something which can be easily made at home seems like a waste of money (house cleaning costs). Making a household liquid disinfectant at home is very easy. All you need is bleach and water to make your very own liquid bleach cleaner at home, which is as effective as any cleaner available in the shops, and pocket friendly as well (disinfecting water with bleach). To make the solution, the Center for Disease Control (CDC) recommends a ratio of 1:10; in other words, to make a solution you need 1 part bleach for every 10 parts of water. For example, if you’re using 1/4th cup bleach, you have to mix in 2 1/4th cup water to dilute it. It is always better to make the solution in a jar as this will keep it from splashing on you, and if it does come in contact with skin, make sure to wipe it off immediately with warm water. When the bleach and water are in the jar, mix it gently to make the solution. Your solution is now ready for use. This solution can be used for both metals and plastic, and is also good for porous materials. Make sure you never mix anything with bleach as this can cause harmful fumes which can be toxic. Though making a liquid cleaning bleach solution just involves mixing water with bleach, a few precautions need to be taken for safety. Make sure that the items of clothing worn during making the solution are old because any contact of the cloth with bleach can cause the colors to fade. Also, it is of vital importance that the procedure to make the solution is carried out in a well-ventilated place like outside or in a room with open windows and doors. This is because full strength bleach can emit toxic fumes; a ventilated place is ideal for its making. Wearing rubber gloves is also recommended to avoid any irritation.